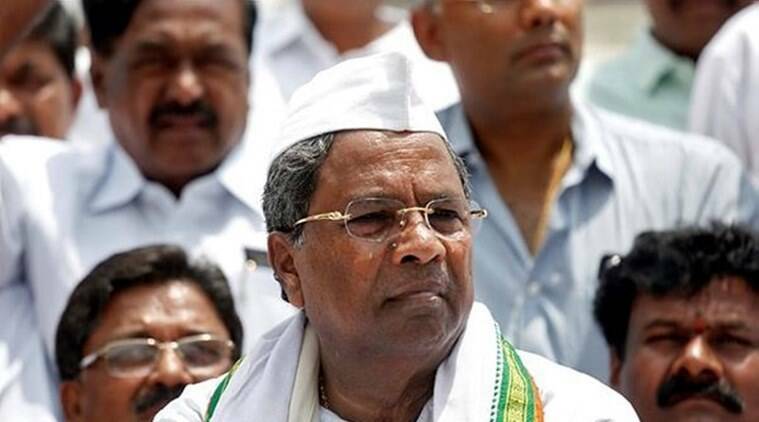 Former chief minister Siddaramaiah on Wednesday dashed off a letter to Kumaraswamy, asking him to roll back the fuel hike and restore the supply of free rice to 7 kg per person as conceived by the Congress when it was in power. THE CONGRESS party, which is running a coalition government in Karnataka with the JD(S), is trying to convince Chief Minister H D Kumaraswamy to roll back decisions taken in the state budget by the new government to hike fuel prices and reduce supply of free rice to the poor from 7 kg per person to 5 kg. Kumaraswamy, who announced a massive Rs 34,000 crore farm loan waiver in his budget on July 5, also announced an increase in taxes on petrol and diesel by Rs 1.14 and Rs 1.12 per litre to meet the costs of financing the government’s populist schemes. He has responded to the criticism over the fuel price hike stating that fuel prices had been increased nine times by the BJP government at the Centre over the past four years. The JDS-Congress government in the state has also tinkered with the Anna Bhagya scheme of the Congress which provided free rice to people living below the poverty line by reducing the quantity of rice from 7 kg to 5 kg and providing 500 gm of tur dal, 1 kg palm oil, 1 kg salt and 1 kg sugar at subsidised rates to compensate for the reduced rice. Siddaramaiah has sought restoration of the original scheme. “Your decision to modify the Anna Bhagya scheme has surprised me. We had budgeted Rs 2,450 crore for the scheme. By reducing the quantity of supply by two kg, only a maximum of Rs 600-700 crore can be saved,” he stated. The move to reduce the quantity of supply of free rice is likely to affect the lives of the poor, the chairman of the co-ordination committee of coalition said. The Chief Minister is expected to take a stand on the issue on Thursday during a speech in Assembly following discussions on the budget.